« Hi Home I’m Honey! All our children are a blesssing. Each one is different in looks and personality and each are a blessing in their own ways. I’ve stumbled across some photos that were taken the morning after Tony’s 18th birthday party. (so pics are 11 years old!) It was one of those rare occasions when I have the children all together. I’d forgotten that the photographer had taken pics of Dennis and I with each of the children. So these pages are the photos of us with Aedita. Gotta love that girl! These days she’s into early morning running and crazy, crazy things like that. Health Freak!!! EEEEkkkkk! However when these were taken she was living as a single mum in Perth so very far away. I prayed often that something would happen that would make her want to come back to this side. God is good. She returned almost 4 years ago and her life has completely changed (for the better) since then. She lives in Brisbane with our grandaughter (Tannikah – who turns 13 today! OMG!) and works for C.S.I.R.O. I’ve included some song lyrics on my second page as this song always reminded me of how I needed to ‘hang in there’ for Aedita’s return. Whenever I heard it the tears would flow and you guessed it when I scrapped these pages the tears flowed………..yet again! 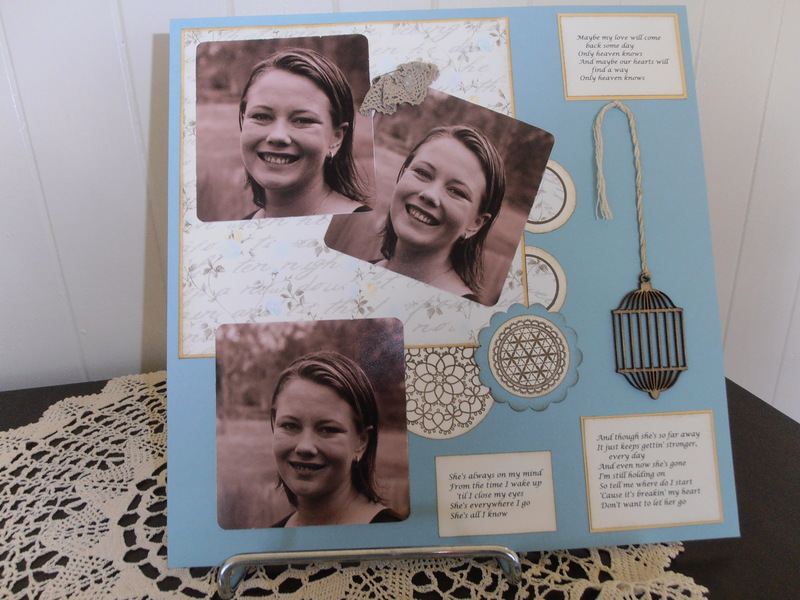 Scrapping is such an emotional thing to do, brings back lots of memories, thoughts and hidden prayers. This pic shows both pages together. Sorry about the quality of the photo, but a phtoographer I’m not. Just another talent that Aedita has she did NOT acquire from her mum. 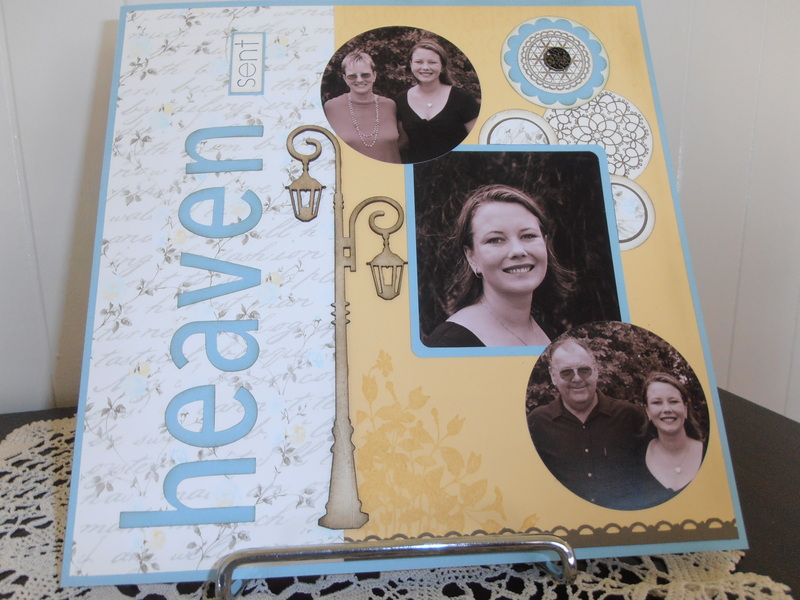 You have hit the nail on the head Jacqui, when you say scrapbooking brings back so many memories and hidden prayers. 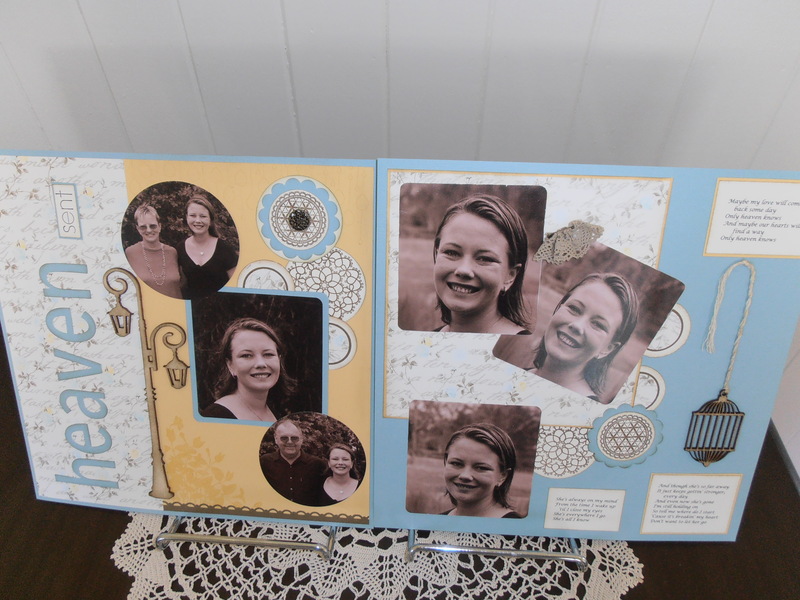 These are beautiful pages you have crafted, and even though the photos were taken in what sounds like a tough time, I am glad you have them to remember the happy times of that occasion too.